We have put together this lovely guidescope kit by Geoptik. 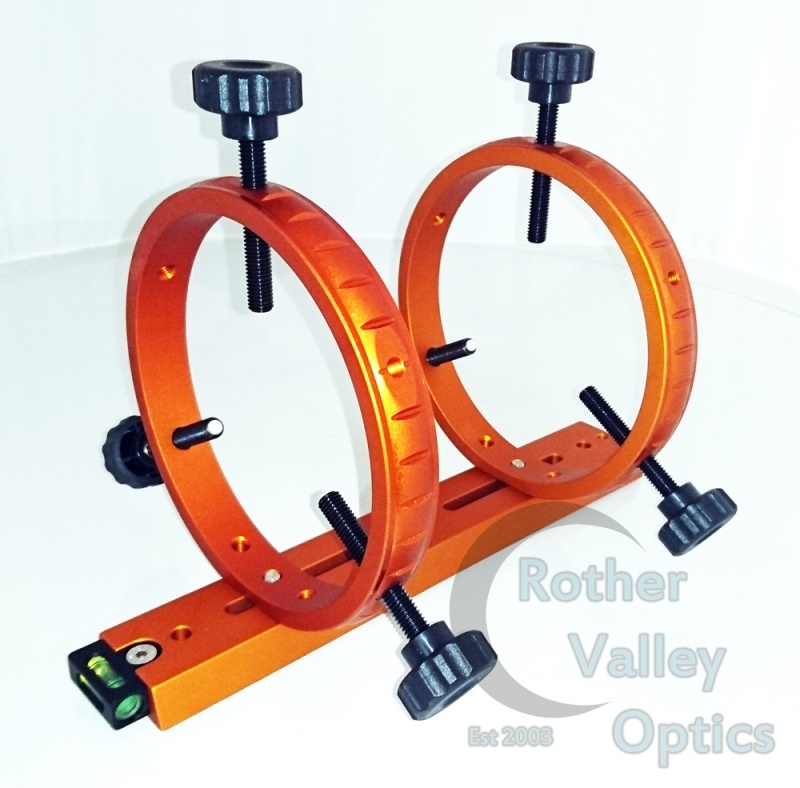 This kit features high quality 130mm guidescope rings with 3 point delrin tipped adjusting screws, mounted on a 250mm vixen style bar. This kit is so versatile and lightweight, it makes it ideal for a guiding set up. The bar is slotted so the rings can be moved up and down to suit a variety of telescopes. High quality made guidescope rings with 3 point delrin tipped adjusters. These are very well made, high quality machined and very well anodized with Geoptiks trademark orange. These rings have a flat edge so they sit flush on a mounting bar to easily attach a guidescope system. A very high quality made CNC machined and anodized dovetail bar. This is a vixen style bar that will fit most moden mounts. 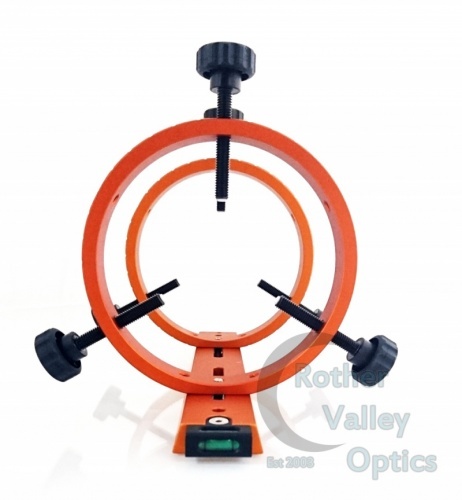 It has mounting holes as well as universal slots to make it compatible with most telescopes. The dovetail bar is anodized orange to give it an edgy look to make your kit stand out. It also comes with a bubble level to help with your alignment.